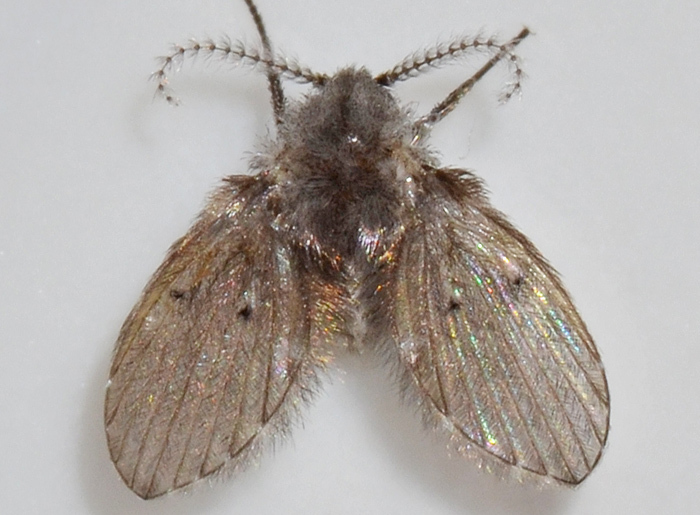 This moth fly is Clogmia albipunctata which is probably tropical but now found in human habitats throughout most of North America. I noticed this one on our shower wall (the species is also called drain fly). The larvae of all moths in this family live in organic sludge, for example on inner surfaces of drains and sewage pipes. Because of the fine water-repellent hairs covering the flies' bodies, adults are difficult to drown, and are not affected by contact with bleach. Great ... well, I saw only one.